This summer it’s all about bold and bright colors. 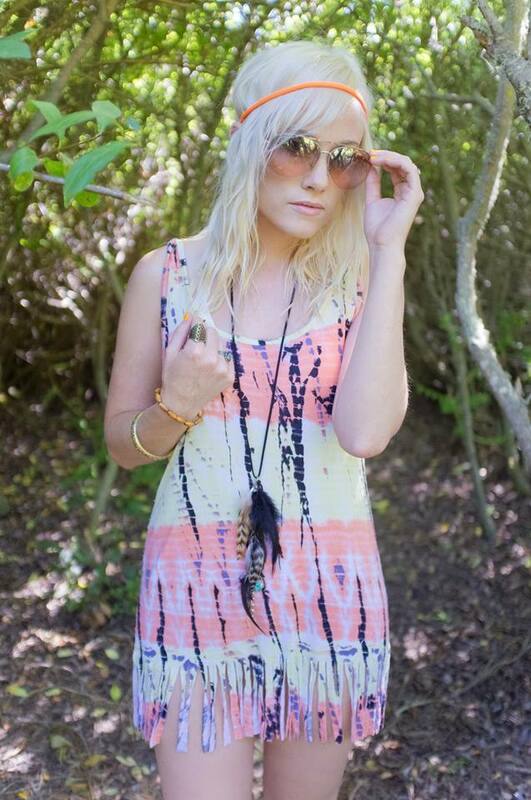 Make a statement with an electric orange headband, a native feather necklace, aviator sunglasses, vibrant nail polish, bracelets, rings, and a fringed summer dress! This whole outfit I found at Forever 21 for under $20. The electric orange headband was made from an old neon t-shirt I had. I simply cut the hem off of one of the sleeves and turned it into a headband. Have fun with your wardrobe this summer and try a pop of color to your look!